We all know that ageing are mostly caused by oxidation, which is the main cause of skin getting saggy, large pores, wrinkles and all sorts of ageing symptom that shows on our face. 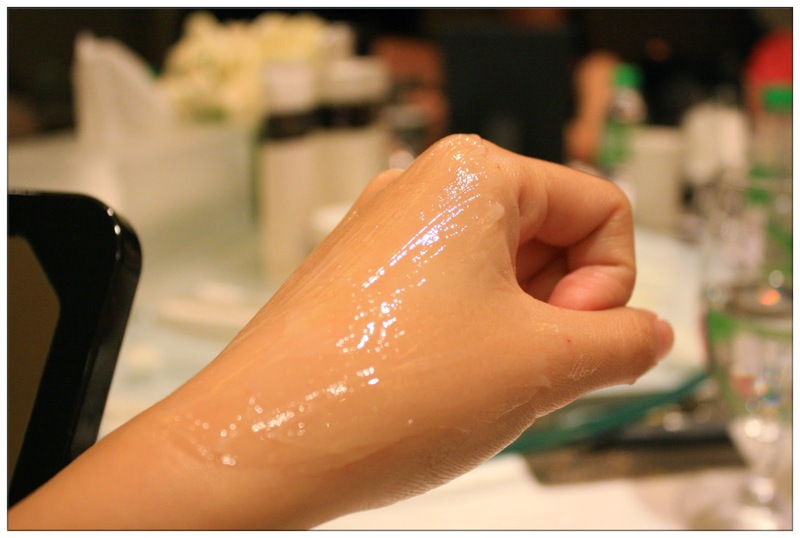 Have you ever think of, what if oxidation damage towards our skin, can be prevent? And yes, it can be prevent, proven by the result of 25 years of molecular biology research by Cosme Decorte Cellgenie series. Founded in 1970 by Japanese leading cosmetic and skincare brand Kosé, Cosme Decorte is a premium cosmetic line which combines the latest dermatological advancements with innovative technologies. The two French word "Cosmetique" and "Décoration" inspired Cosme Decorte has become a name of high quality skincare brand throughout Japan and all around the world, for women who seek for the timeless beauty and elegance. 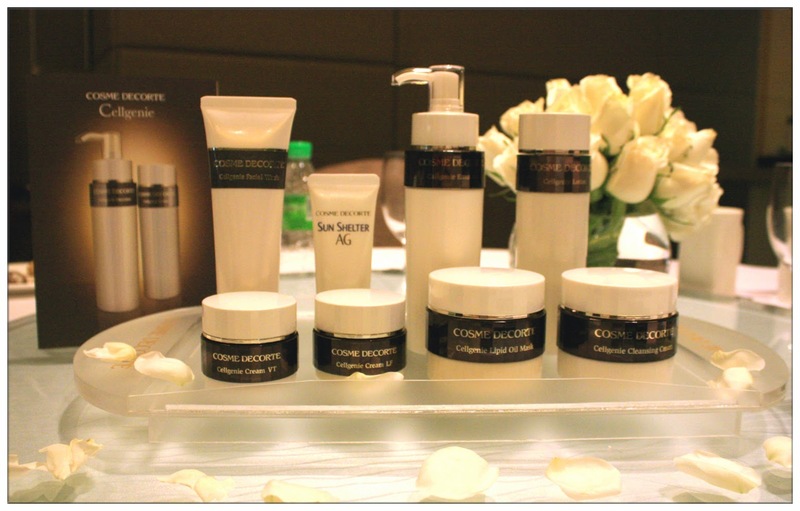 Was quite lucky to be invited to Cosme Decorte's Cellgenie Media Launch early February and also, get to try on all the products among other invited guests, as one of the first to experience this luxurious skincare series. 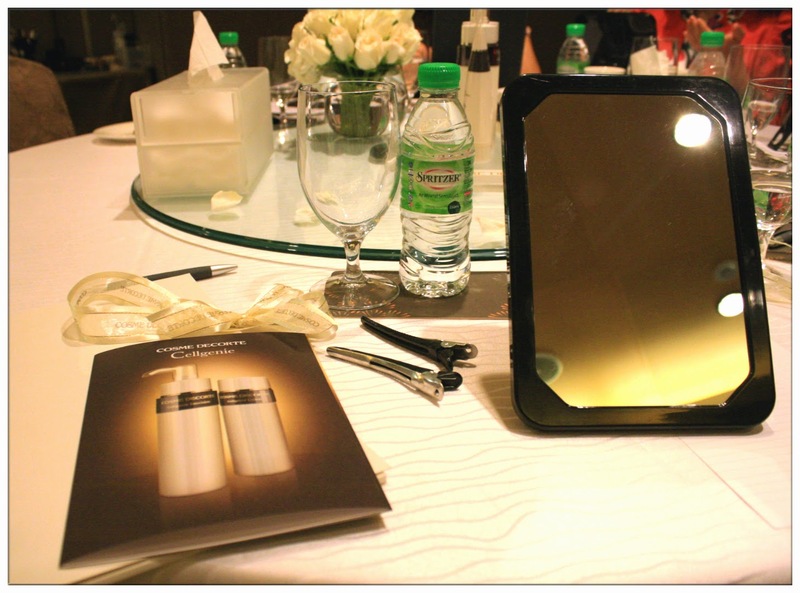 And also, Cosme Decorte Malaysia's beauty trainer - Ms. Carmen Wong was demonstrating step-by-step facial care using this Cellgenie series to all the guests on the spot. Prevention is always better than cure, and that is why we don't wait until our skin shows sign of ageing then only we take action. Cosme Decorte Cellgenie with its powerful ingredient - Andrographis Paniculata Extract, which took 10 years time to develop, enhances the self-defense capability of fibroblast cells so they become less prone to damage. At the same time this extract also turns on our cells anti-oxidant switch which prevent the declination of Vinculin, which helps to keep our cells intact and maintain skin's firmness and elasticity. I'm getting a feeling that I really need to start my skincare with Cosm Decorte's Cellgenie as soon as possible already! Skin wouldn't be able to take in all the nourishment and benefit of a skincare product if our skin aren't thoroughly clean and pores are clogged. That is why everyday cleansing is important. 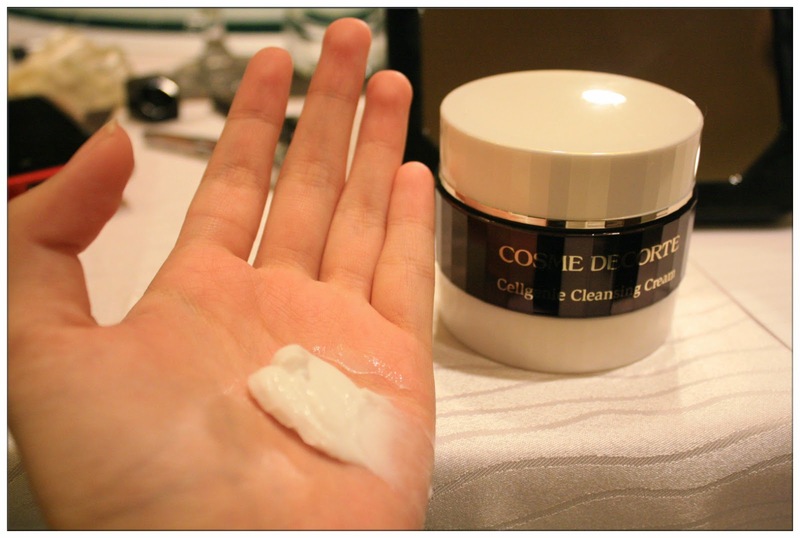 Cellgenie Cleansing Cream is able to removes makeup and oxidized sebum(not just any oil sebum yo!) that causes ageing effect to our skin, and for a throughly detoxed and noticeably firm sensation. It leaves clean, supple, firm but not tense sensation to skin with its relaxingly gentle yet rich texture, and also a refreshing sensation, as well as an amino-acid based active agent that leaves skin smooth as baby's skin! 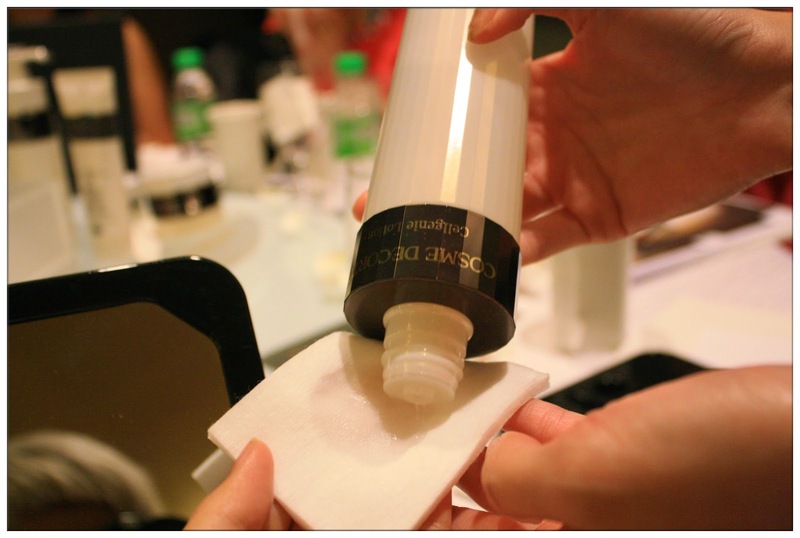 Some would prefer cleanse using another round of facial wash, due to there's no proper equipment during the media launch, so we didn't try out their facial wash that requires rinsing with water. 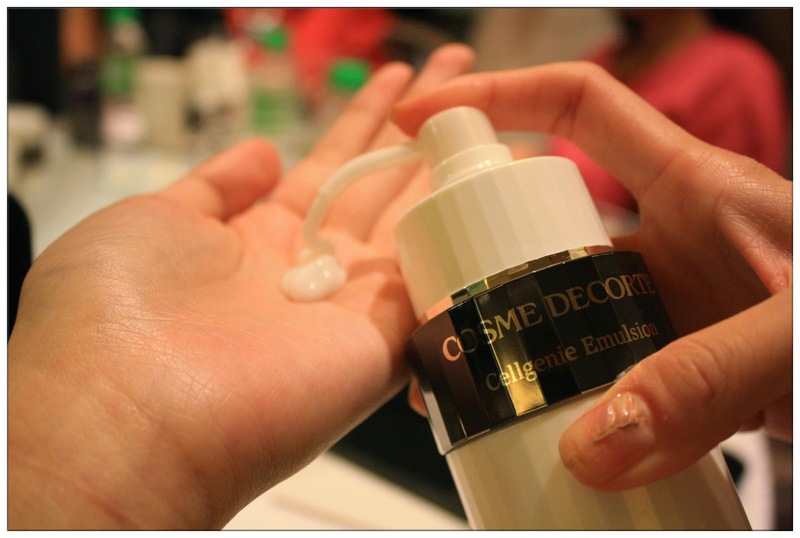 Cosme Decorte Cellgenie Facial Wash can be bought at RM144 for a 125g size pack. One big bottle of emulsion goodness for a good price. This emulsion delivered all effective ingredients into skin's deeper layer, which enhance skin's elasticity, make skin plump, supple and bouncy with incredible moist. It contains three type of oleic acid derivatives that help relax mature skin prone to dehydration and hardening. These ingredients enhance skin's flexibility, restoring it to a supple condition. A lotion that is infused with two advanced capsules: Lipid multi vector capsules which enhance penetration power and Cell Delivery Capsules that contains the Andrographics Paniculata Extract which deliver active ingredients and maximise its effects. This lotion also contains Theanine and Poria cocos extract which prevent fluid from accumulating, promoting its circulation throughout the entire epidermis and producing a stimulating effect that enhances the metabolism of our skin. It is soft and water, the lotion instantly penetrates into all skin layers. The skin of the back of my hand feels resilient and nourished as if treated with a serum. 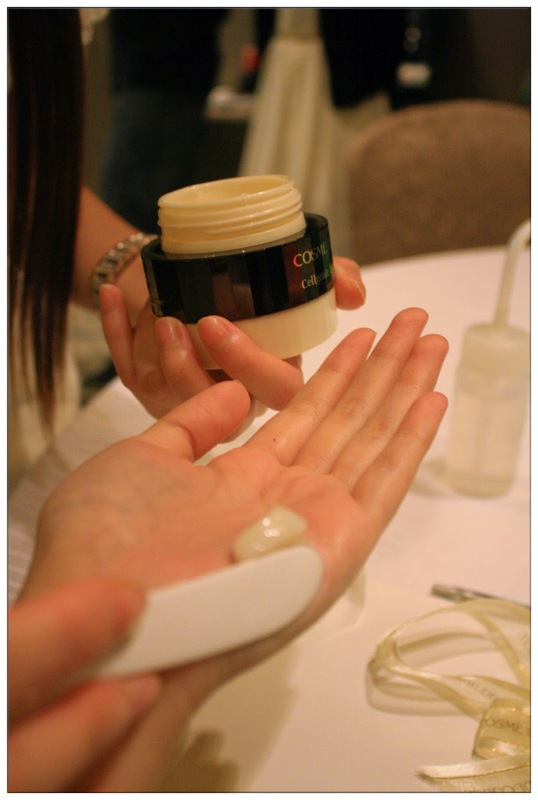 Cellgenie Cream VT (30g RM288) - Restores the elasticity of skin and fill it up with plumpness and suppleness. Its soft, thick base cream spreads over skin smoothly, which helps to protect skin all day, prevent dryness and rough to skin that maintains skin health. 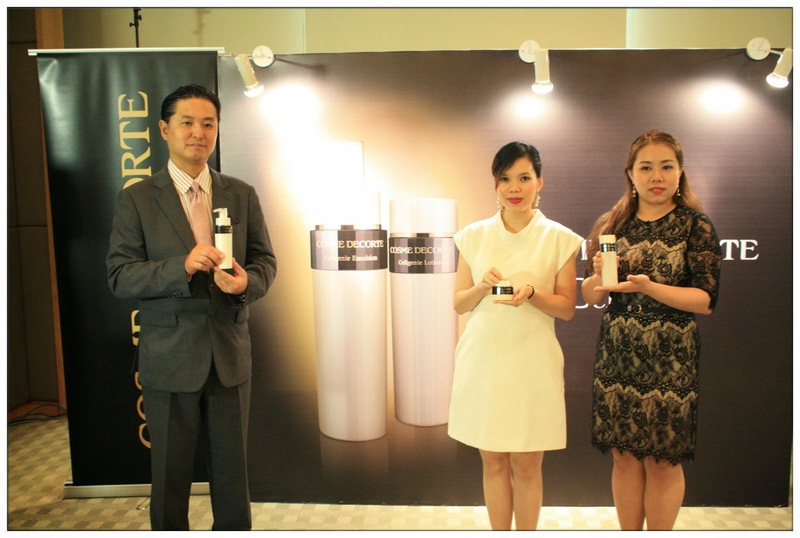 Cellgenie Cream LF (30g RM288) - Deliver intense firmness to slack skin. 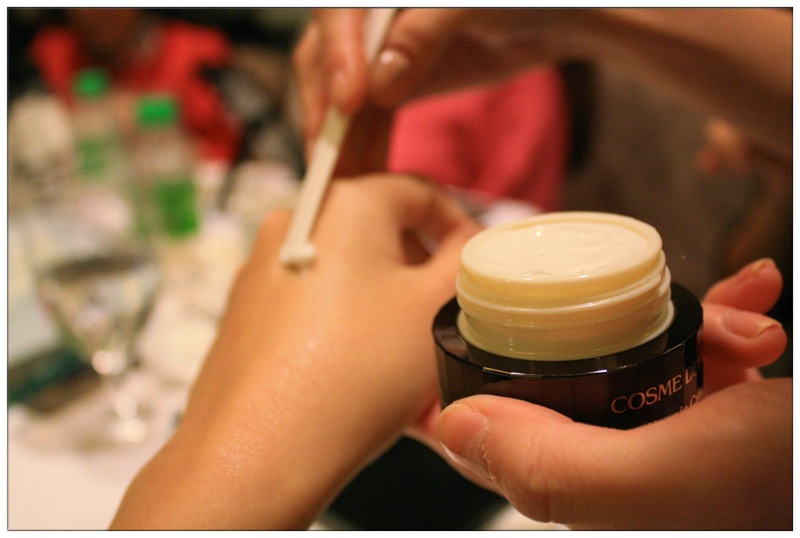 Lift up cream that pumps up the skin with ample of collagen. It instantly lifts bothersome sagging skin and fixes it in place, creating a sharp and lifted impression. With its' concentrated ingredients that lift up skin, the thich base cream adheres snuggly to the skin as it spreads, imparting a firm and taut sensation. This thick 5-10 minute oil mask really open my eyes. It rejuvenates skin, which tends to become harder and duller with age, and restore skin to its lustrous and springy condition. Saw the difference which this photo didn't do its justice! It is a high performance treatment oil composed primarily of Rosa Canina Fruit (Rose Hip oil) and other botanical ingredients that soften the skin and boost skin's femininity. 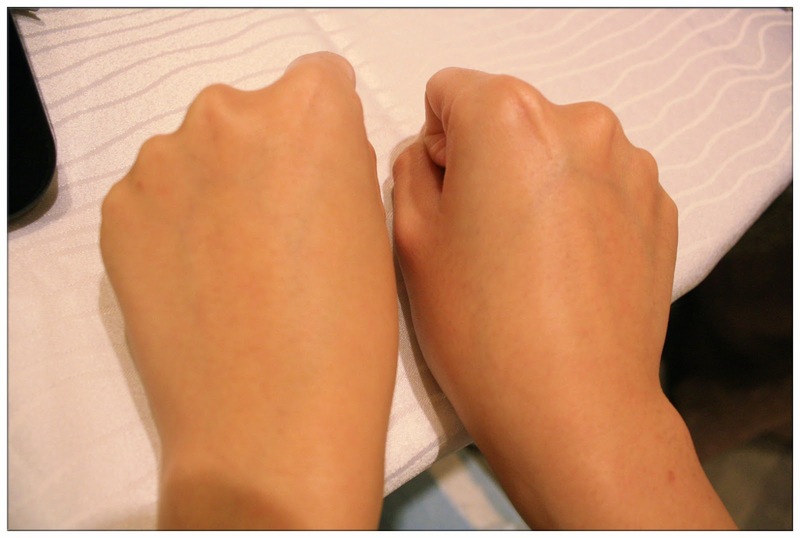 I can see the skin of the back of my hand is plump with bright and healthier appearance. My face really could use some of this! Other than the Cellgenie range, we get to try on some of the star products of Cosme Decorte like this bottle of Moisture Liposome which is such a big hit overseas! Its highly-advanced delivery technology back in year 1992 has already made it sold for over 3 million bottles since then. Skincare routine isn't complete without sunscreen! 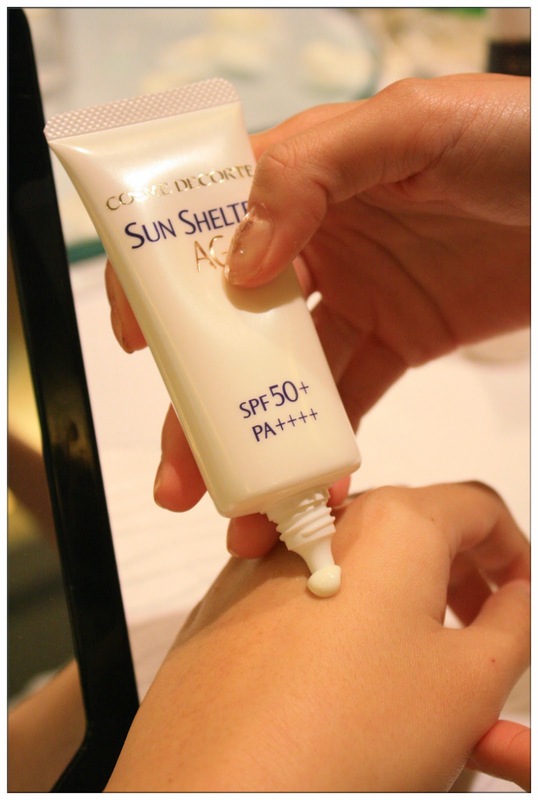 Sun Shelter AG gives fully protection from UVA and UVB to our skin up to 8 hours a day! It is lightweight and not greasy at all after application, which also makes it as one of Cosme Decorte's users favourite product. 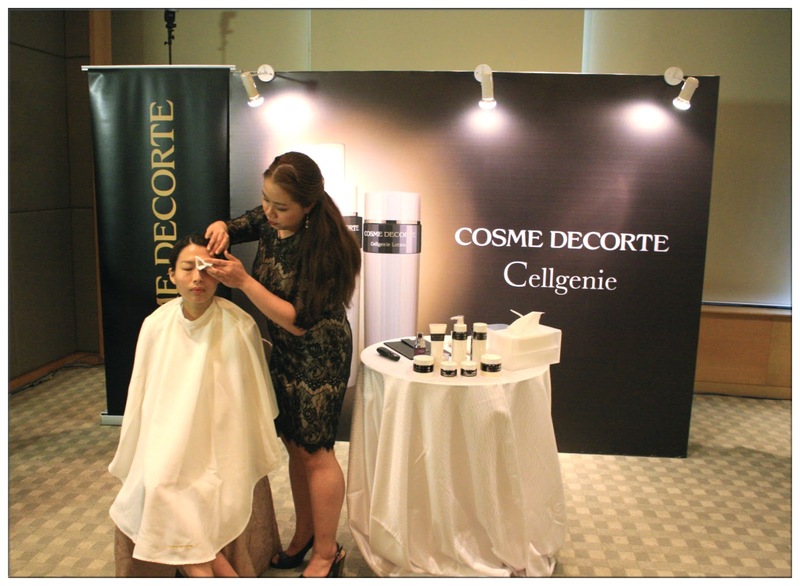 Specially formulated for women in their 20s, Cosme Decorte Cellgenie Range is a saviour from skin ageing and oxidation. Thank you for bringing in such a great brand into Malaysia and we Malaysian women are gonna benefit a lot from it. Head over to Cosme Decorte's counter and start looking young forever.